Samsung - HM321HI SAMSUNG - SPINPOINT (ENHANCED)M7 320GB 5400 RPM 8MB BUFFER 2.5INCH SATA 3.0GB/S INTERNAL NOTEBOOK DRIVE(HM321HI). IN STOCK.SHIP SAME DAY. Fujitsu - MHZ2320BH FUJITSU - 320GB 5400RPM 8MB BUFFER SATA 2.5INCH(LOW PROFILE) NOTEBOOK DRIVE(MHZ2320BH). IN STOCK. SHIP SAME DAY. Hitachi - HTE723232L9A300 HITACHI - TRAVELSTAR 7K320 320GB 7200RPM 16MB BUFFER SATA-II 7-PIN 2.5INCH ENHANCED NOTEBOOK DRIVE (HTE723232L9A300). IN STOCK. SHIP SAME DAY. Hitachi - 0A59577 HITACHI - TRAVELSTAR 7K320 320GB 7200RPM 16MB BUFFER SATA-II 7-PIN 2.5INCH ENHANCED NOTEBOOK DRIVE (0A59577). IN STOCK. SHIP SAME DAY. Toshiba - MQ01ABD032 MQ01ABD032 Toshiba 320GB 5.4K RPM 8MB Buffer 2.5Inch SATA-II Hard Disk Drive. New Bulk Pack. Western Digital - WD3200BPVT WD3200BPVT Western Digital Scorpio 320GB 5.4K 8MB Buffer 2.5Inches Form Factor SATA 300 Mobile Hard Drive. New Bulk Pack. Samsung - HM321HI HM321HI Samsung Spinpoint (Enhanced)M7 320GB 5.4K RPM 8MB Buffer 2.5Inch SATA 3.0GB S Internal Notebook Drive. New Bulk Pack. Seagate - ST320LM010 ST320LM010 Seagate Laptop Thin Hdd 320GB 7.2K RPM 2.5inch 7MM 32MB Buffer SATA-6GBPS Hard Disk Drive. New Retail Factory Sealed With Full Manufacturer Warranty. 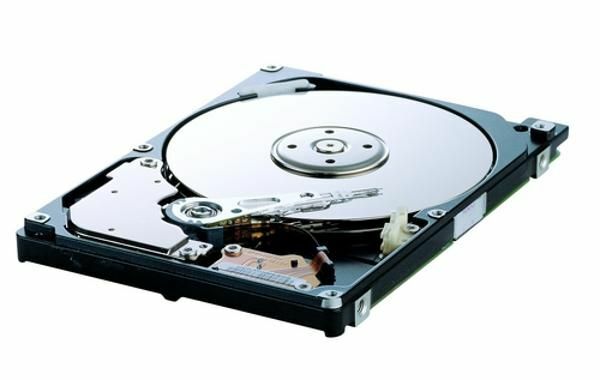 Hitachi - HTS543232L9A300 HITACHI -TRAVELSTAR 5K320 320GB 5400RPM 8MB BUFFER SATA-II 7-PIN 2.5INCH HARD DISK DRIVE (HTS543232L9A300). IN STOCK. SHIP SAME DAY. Hitachi - HTS545032B9A300 HITACHI - TRAVELSTAR 5K500.B 320GB 5400RPM 8MB BUFFER SATA-II 7-PIN 2.5INCH NOTEBOOK DRIVE (HTS545032B9A300). IN STOCK. SAME DAY SHIPPING. Fujitsu - MJA2320BH FUJITSU - 320GB 5400RPM 8MB BUFFER SATA-II 7-PIN 2.5INCH NOTEBOOK DRIVE(MJA2320BH). NEW. IN STOCK. SHIP SAME DAY. Hitachi - HTS545032A7E380 HTS545032A7E380 Hitachi Travelstar Z5k500 320GB 5.4K RPM SATA-II 8mb Cache Form Factor 2.5inches 7.0mm Internal Hard Disk Drive. New Bulk Pack. 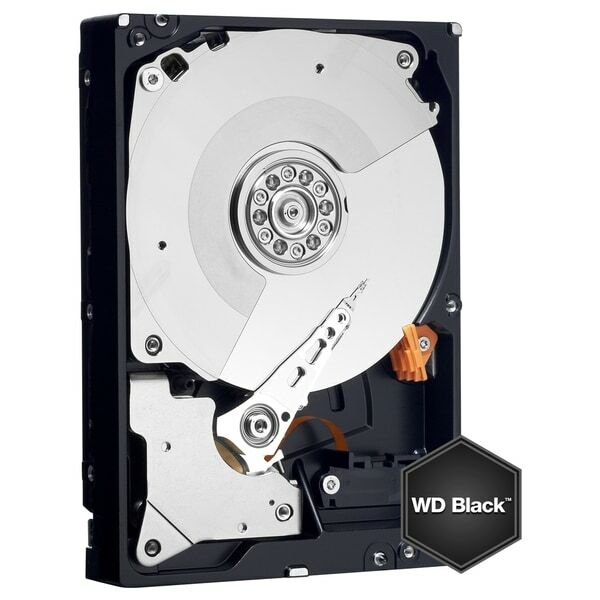 Western Digital - WD3200BEKX WD3200BEKX WD Black 320GB 2.5Inch SATA 5.4K RPM 8MB Buffer Internal Hard Drive. New Bulk Pack. Western Digital - WD3200BEVT WD3200BEVT Western Digital Scorpio Blue 320GB 5.4K RPM SATA-II 7 Pin 8MB Buffer 2.5Inches Notebook Hard Drive. New Bulk Pack. Toshiba - MK3261GSYN MK3261GSYN Toshiba 320GB 7.2K RPM 16MB Buffer SATAII 2.5Inches Hard Disk Drive. New Retail Factory Sealed With Full Manufacturer Warranty. Toshiba - MK3259GSXP MK3259GSXP Toshiba 320GB 5.4K RPM 8MB Buffer SATA 2.5Inches Form Factor Hard Disk Drive. New Retail Factory Sealed With Full Manufacturer Warranty. Hitachi - HTS543232L9SA00 HITACHI - TRAVELSTAR 5K320 320GB 5400RPM SATA 9.5MM 8MB 2.5INCH INTERNAL HARD DRIVE (HTS543232L9SA00). IN STOCK. SHIP SAME DAY. 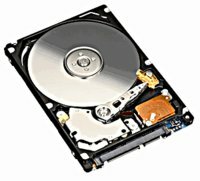 Western Digital - WD3200BEVS WESTERN DIGITAL - 320GB 5400RPM 8MB BUFFER SATA-II 2.5INCH NOTEBOOK DRIVE (WD3200BEVS).IN STOCK. SHIP SAME DAY. 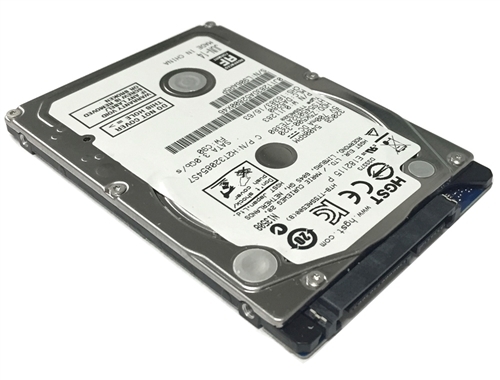 Hitachi - HTS543232L9A300 HTS543232L9A300 Hitachi Travelstar 320GB 5.4K RPM 8MB Buffer 2.5Inches Form Factor SATA300 Notebook Drive. New Bulk Pack. 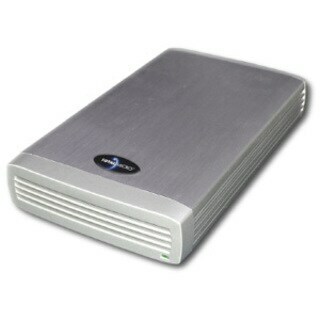 Hitachi - 0A56417 0A56417 Hitachi Travelstar 320GB 5.4K RPM 8MB Buffer 2.5inches Form Factor SATA300 Hard Drive. New Bulk Pack. Toshiba - MK3265GSX MK3265GSX Toshiba 320GB 5.4K RPM Form Factor 2.5Inches 8MB Buffer SATA-300 Notebook Hard Drive. New Retail Factory Sealed With Full Manufacturer Warranty. Western Digital - WD3200BPVT WESTERN DIGITAL - SCORPIO BLUE 320GB 5400RPM SATA-300(SATA-II) 8MB BUFFER 2.5INCH HARD DRIVE. WD3200BPVT IN STOCK. SHIP SAME DAY. Seagate - ST320LT007 ST320LT007 Seagate Momentus Thin 320GB 7.2K RPM SATA-II 16MB Cache 2.5Inches Form Factor Internal Notebook Drives. New Bulk Pack. Western Digital - WD3200BUDT WESTERN DIGITAL - NEW. WD AV 320GB 5400RPM SATA-II 32MB BUFFER 2.5INCH HARD DISK DRIVE. 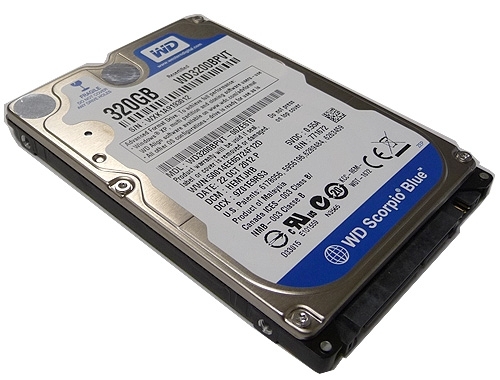 WD3200BUDT IN STOCK. SHIP SAME DAY. 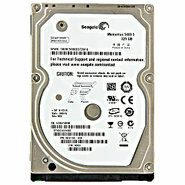 Toshiba - MK3252GSX TOSHIBA - 320GB 5400RPM 8MB BUFFER SATA 7-PIN 2.5INCH HARD DISK DRIVE (MK3252GSX). IN STOCK. SHIP SAME DAY. Toshiba - HDD2H01 TOSHIBA - 320GB 5400RPM 8MB BUFFER SATA 7-PIN 2.5INCH HARD DISK DRIVE (HDD2H01). IN STOCK. SHIP SAME DAY. 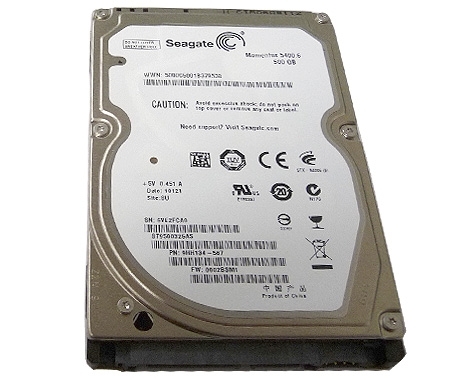 Seagate - ST9320325AS SEAGATE - MOMENTUS 320GB 5400RPM SERIAL ATA-300 (SATA-II) 7-PIN 2.5INCH FORM FACTOR 8MB BUFFER INTERNAL LAPTOP DISK DRIVE (ST9320325AS). IN STOCK. SHIP SAME DAY. 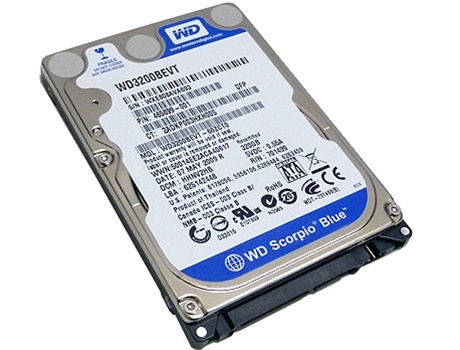 Western Digital - WD3200BEVT WESTERN DIGITAL - SCORPIO BLUE 320GB 5400RPM SATA-II 7PIN 8MB BUFFER 2.5INCH NOTEBOOK DRIVE. WD3200BEVT IN STOCK. SHIP SAME DAY. Hitachi - 0A78603 0A78603 Hitachi Travelstar 320GB 5.4K RPM SATA II 2.5Inches 8MB Buffer 7mm Internal Hard Drive. New Bulk Pack. Toshiba - MK3261GSYN TOSHIBA - 320GB 7200RPM 16MB BUFFER SATA-II 2.5INCH HARD DISK DRIVE (MK3261GSYN). NEW WITH FULL MFG WARRANTY. IN STOCK. SHIP SAME DAY. Toshiba - HDD2F23 TOSHIBA - 320GB 7200RPM 16MB BUFFER SATA-II 2.5INCH HARD DISK DRIVE (HDD2F23). NEW WITH FULL MFG WARRANTY. IN STOCK. SHIP SAME DAY. 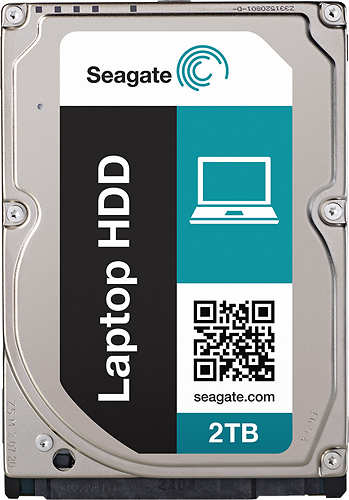 Seagate - ST320LT020 ST320LT020 Seagate Momentus 320GB 5.4K RPM 16MB Buffer 2.5Inches Form Factor SATA Notebook Hard Disk Drive. New Bulk Pack. Western Digital - WD3200BEKT WESTERN DIGITAL - SCORPIO BLACK 320GB 7200RPM SATA-II 7PIN 16MB BUFFER 2.5INCH NOTEBOOK DRIVE. WD3200BEKT IN STOCK. SHIP SAME DAY. Dell - 341-9334 DELL- 320GB 5400RPM SATA-II 8MB BUFFER 2.5INCH HARD DISK DRIVE(341-9334). IN STOCK. SHIP SAME DAY. Dell - KR969 DELL- 320GB 5400RPM SATA-II 8MB BUFFER 2.5INCH HARD DISK DRIVE(KR969). IN STOCK. SHIP SAME DAY. Dell - 341-7348 DELL- 320GB 5400RPM SATA-II 8MB BUFFER 2.5INCH HARD DISK DRIVE(341-7348). IN STOCK. SHIP SAME DAY. Toshiba - MK3255GSX MK3255GSX Toshiba 320GB 5.4K RPM 8MB Cache SATA-II 7Pin Form Factor 2.5Inches Notebook Drive. New Bulk Pack. Seagate - ST9320320AS SEAGATE - MOMENTUS 320GB 5400RPM SERIAL ATA-300 (SATA-II) 2.5INCH FORM FACTOR 8MB BUFFER INTERNAL HARD DISK DRIVE (ST9320320AS). IN STOCK. SHIP SAME DAY. SEAGATE - HARD DRIVE - WD3200BJKT WESTERN DIGITAL - SCORPIO BLACK 320GB 7200RPM SATA-II NOTEBOOK DRIVE. 16MB BUFFER 2.5INCH FORM FACTOR. WD3200BJKT IN STOCK.SHIP SAME DAY. Dell - M640H DELL- 320GB 5400RPM SATA-II 8MB BUFFER 2.5INCH HARD DISK DRIVE(M640H). IN STOCK. SHIP SAME DAY. 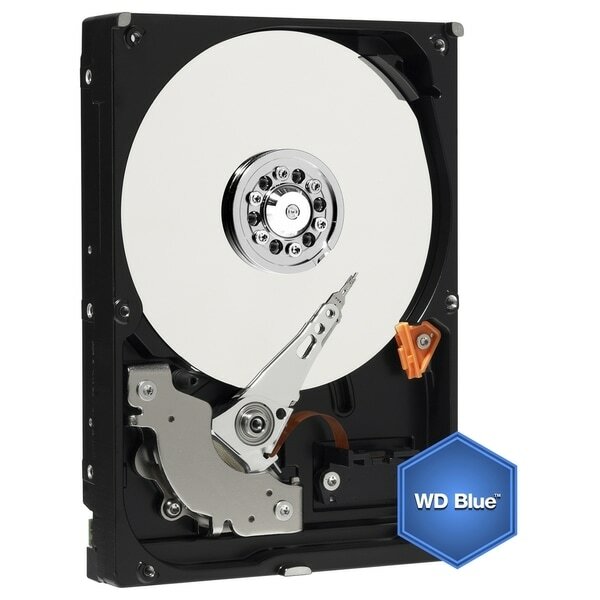 Western Digital - WD3200BEVS WD3200BEVS Western Digital 320GB 5.4K RPM 8MB Buffer SATA-II 2.5Inches Notebook Drive. New Bulk Pack. Seagate - ST9320421AS SEAGATE - MOMENTUS 320GB 7200RPM SERIAL ATA-300 (SATA-II) 2.5INCH FORM FACTOR 16MB BUFFER INTERNAL HARD DISK DRIVE FOR LAPTOP (ST9320421AS). IN STOCK. SHIP SAME DAY. Hitachi - HTS723232L9A360 HITACHI - TRAVELSTAR 7K320 320GB 7200RPM 16MB BUFFER SATA-II 7-PIN 2.5INCH NOTEBOOK DRIVE (HTS723232L9A360). IN STOCK. SHIP SAME DAY. Hitachi - 0A57547 HITACHI - TRAVELSTAR 7K320 320GB 7200RPM 16MB BUFFER SATA-II 7-PIN 2.5INCH NOTEBOOK DRIVE (0A57547). IN STOCK. SHIP SAME DAY.